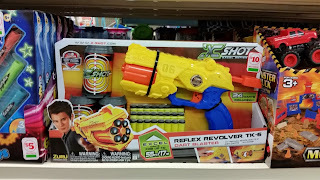 The quintessential value shopping store only has a few blasters of note this holiday season, and they're both Zuru Xshot blasters. First, we have the Max Attack, one of Zuru's clip-fed entries. 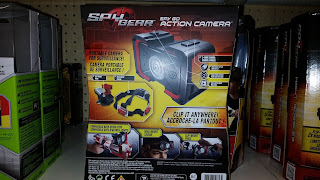 It's the first time I've seen it in a store in the US. Performance is ok, but it's not compatible with most darts, due to the Excel darts being shorter in length. The fake barrel has rifle grooving and fits 1" diameter stefans perfectly, should you want to do some rifling experiments. 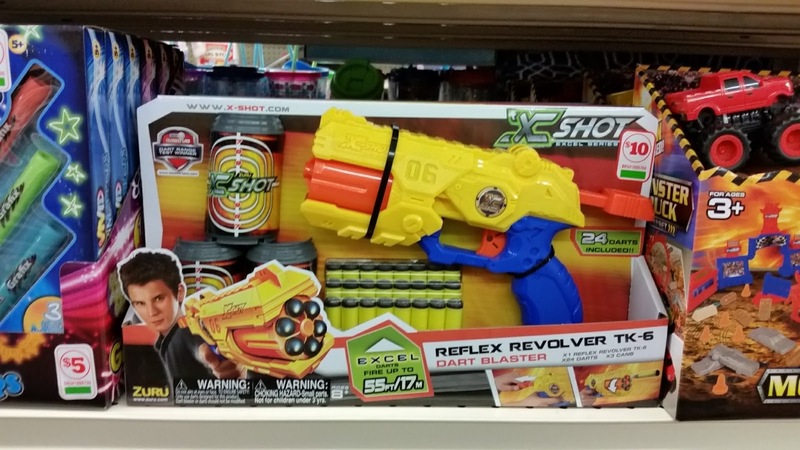 Also available is the Reflex Revolver. 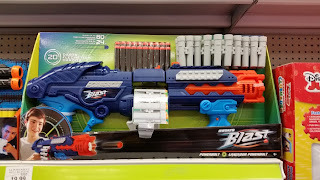 You've already seen this blaster in green as part of the Bug Attack series, but this version comes with lots of extra darts and target cans. This blaster is worth a look. 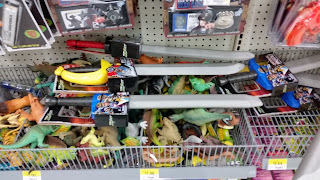 Another Xshot product line has appeared at Walmart, consisting of several types of melee weapons, all for $5. Pirate? Ninja? Knight? Take your pick. 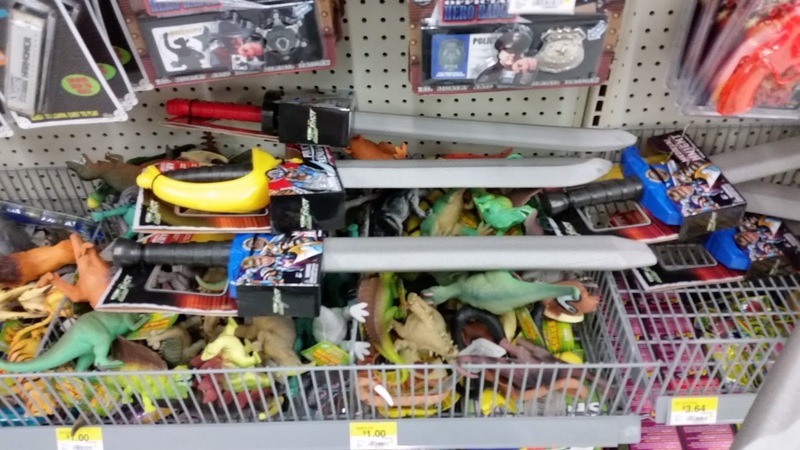 If your store has them, it will be in the novelty toy section. FINALLY! Every Walmart I've seen has been slow to clear out the original Predators. 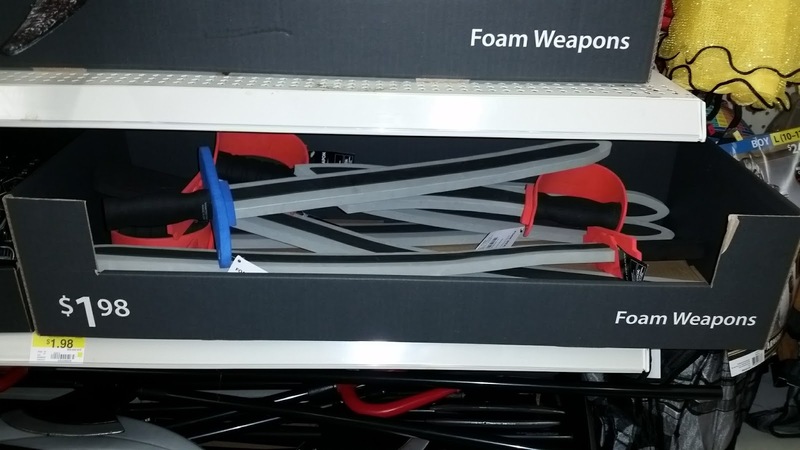 If for some reason you need lots of cheap foam melee weapons, hit up the Halloween seasonal aisles. It seems that the Stats Blast line is having a bit of a makeover. First, here are the new dart packs, which show the slight changes in the logo. 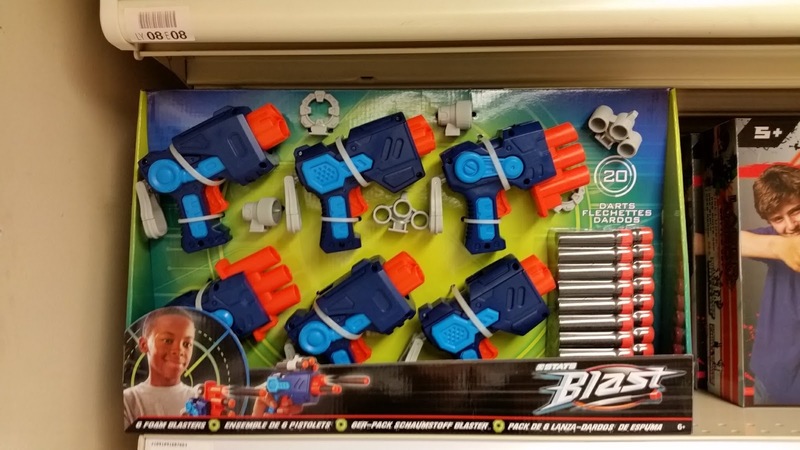 Next, we have Prime Time Toys' Powerbolt Belt Blaster in a rather unique blue paint scheme. So, that means we've now seen it in Dart Zone, Stats Blast, AND Adventure Force versions. Still $20. Plus, it's the latest version that's compatible with most darts now. Here are some tiny pistols in the same color palette. 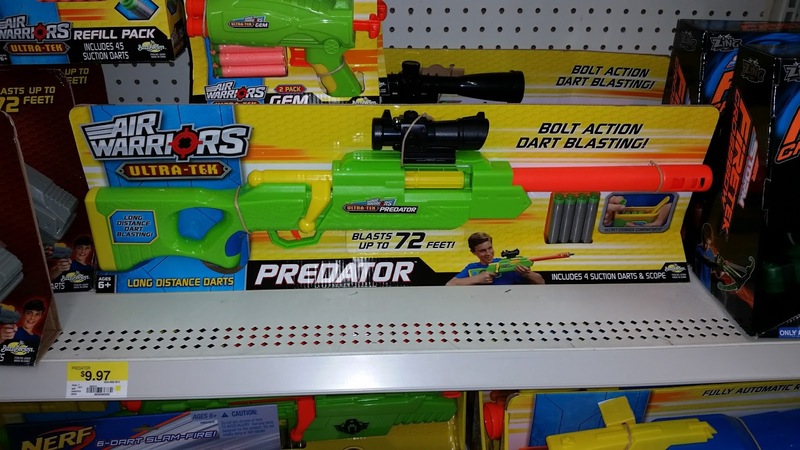 Notice the abnormal darts. 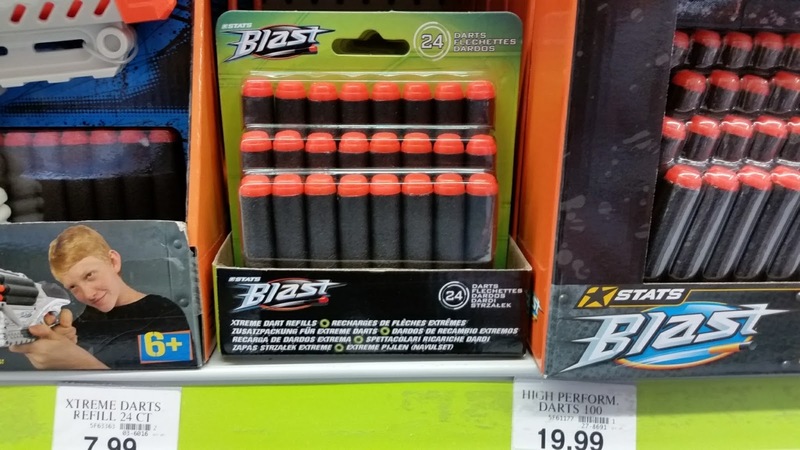 That's because these blasters come from some toy company other than PTT or any of the other ones we usually see. 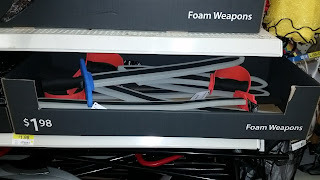 I doubt these will be firing darts like lasers anytime soon. Interestingly, the back of the packaging depicts the camera being mounted to a generic dart blaster. Skip buying this, though. It records in VGA only (640x480), which is extremely low-res compared to other things on the market. 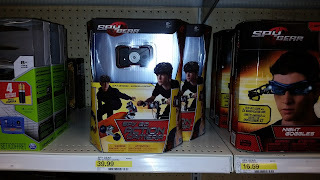 It's not that hard to find offbrand action cameras for less than the $40 asking price that have better specs. I just highlighted it here because of the blaster picture. Oh wow! 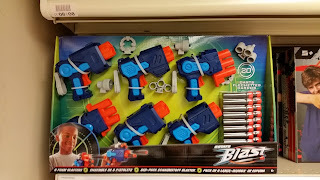 Blue versions of previous blasters was awesome. 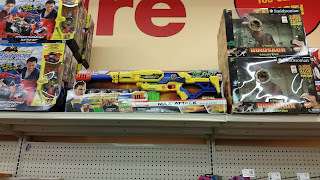 These are safe toys. 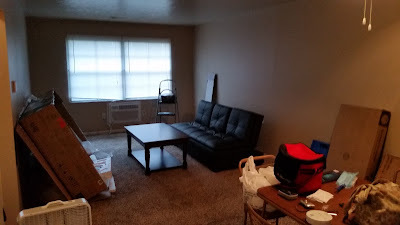 Your post at http://resume-writing-services.reviews/ website encourage parents to buy for their children such an amazing they are cheap but very useful.